At the age of 10, Jorge Garcia was brought to the United States illegally. 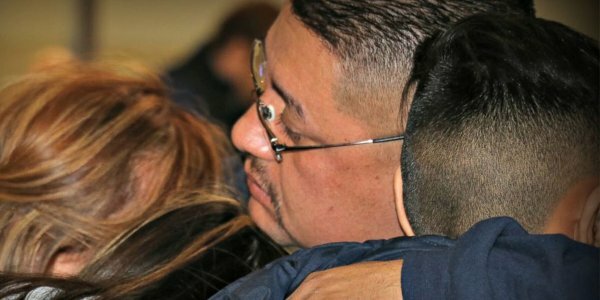 Though he has lived in America for the past three decades, has no criminal record, and reportedly paid taxes, he was deported to Mexico on Monday. Garcia lived in Lincoln Park with his family and worked as a landscaper. Reuters reports that he was told by US Immigration and Customs Enforcement (ICE) to return to Mexico in November. Speaking to the newspaper, Garcia said he asked the agency if they would allow him more time. They declined to move his January 15 deadline. Insult was added to injury when, on the same day, US President Donald Trump tweeted that Democrats “don’t want to” make a deal on DACA. As Reuters reports, the Obama-era immigration order was challenged by the Trump administration and, thus, put to an end. Only last week did a judge bar the present administration from repealing the program. One thing is for sure, law reform is needed. No comprehensive legislation has been passed since 1986 and meanwhile, families such as the Garcias suffer. Please comment your thoughts below and share this news!
? Wealth Over Work? Oxfam Report Reveals That The Richest 1 Percent Account For 82 Percent Of The World’s Wealth This 8-Minute Surgery Will Give You Superhuman Vision — Forever ?